So we’re always going on about how easy it is to make things at home that you’d usually buy at the supermarket instead. 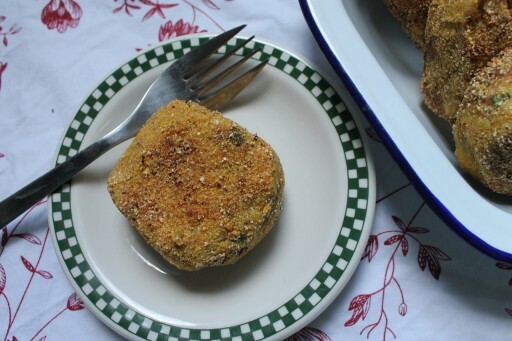 And we’re telling you today that you need to start making your own fishcakes. Honestly, you have no idea what are in those supermarket ones. Plus maybe they drop them on the floor before they put them in the box. Maybe they have a 30 second rule. We’re just saying. Making them at home means you can control exactly what is in it. Don’t want it to be carb heavy? Add more fish. Want to try out other types of carbs (or make them veggie) – put in mashed kidney beans, mashed chickpeas, quinoa, mashed rice, sweet potato, swede…there are endless opportunities for you to be creative. Experiment with fish – we love mackerel and rainbow trout! And spices – you could add garam masala, sumac, za’atar, coriander seeds, fennel seeds, turmeric, pepper, chillies. You could cover them with polenta, breadcrumbs, Panko crumbs, even ground nuts. Also, they are so simple to make – you could make a a whole lot of them on a Sunday and freeze them so that you can enjoy a quick meal whenever you don’t feel like standing over the stove. 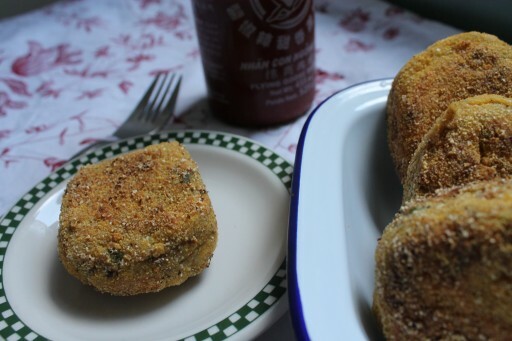 And if you prefer fish fingers or fish goujons or fish kibbe, shape the fish cakes that way instead of in rounds. We believe that are better things to spend your £2 on. Like Maltesers. Mix the mashed potato, mackerel, parsley, salt, black pepper and sumac together so that all ingredients are fully incorporated. Shape into cakes and dip each one into the beaten egg. Then cover the whole of each cake with the cornmeal. Heat about 1 tbsp of oil in a frying pan on medium-heat. After about 20-30 seconds, place fish cakes in the pan and fry, flipping periodically so that the whole cake turns golden brown in colour. Of course if not all of the cakes fit in the pan, fry in batches, adding more oil to the pan if necessary. Enjoy immediately or refrigerate for a couple of days. Alternatively you can freeze the cakes before the frying stage. I LOVE smoked mackerel! What a great variation to try! 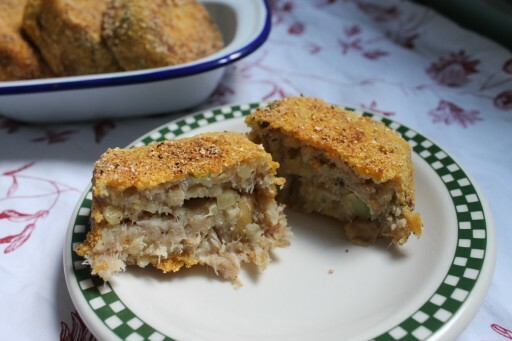 Yes please do, we love it too and such an improvement on the usual cod fish cakes!